"New age therapist look. The 70s new age therapy." I like her sundress, frayed and all. 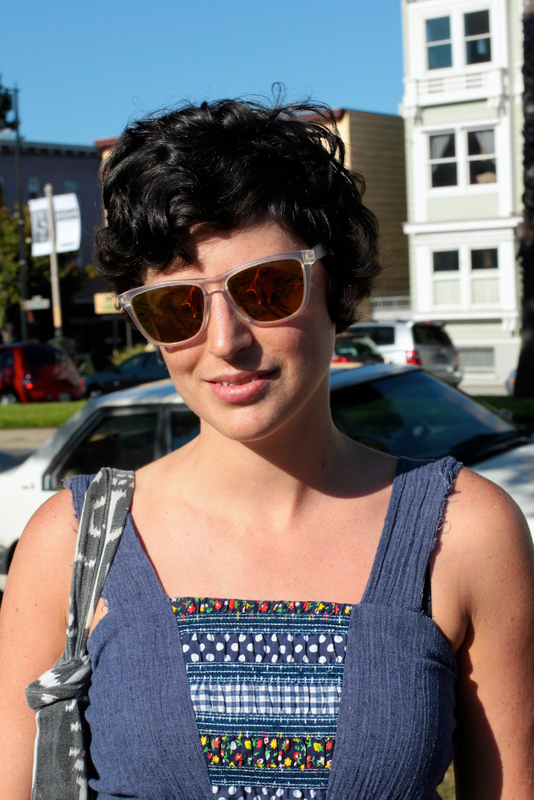 Am also loving her accessories of clear sunglasses frame and chunky buckle braided leather belt. 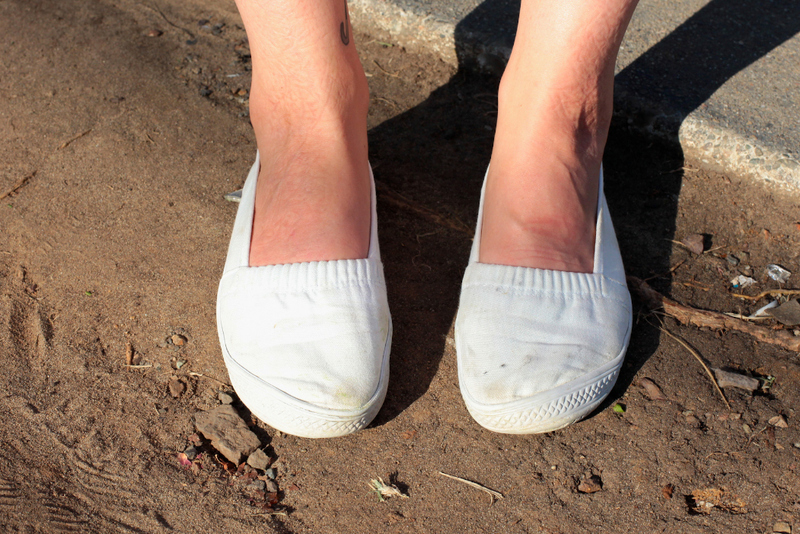 Yes, we do wear flats in the Mission don't we? She looks great, what a cool dress. Her dress and accessories are awesome. I LOVE the umbrella tattoo near her ankle! That dress is so cute and the belt, geez she looks darling! 70's therapist, ha! !